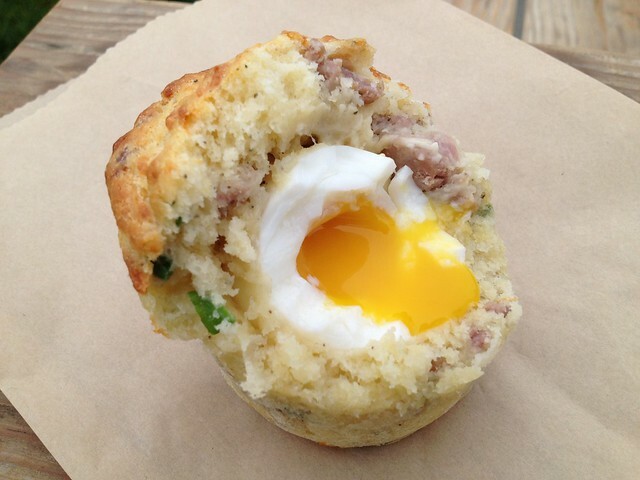 This amazing creation by chef William Werner has quickly become one of my favorite breakfast items ever! I swear it tastes like Thanksgiving. The outer coating tastes like a delicious, moist stuffing. This muffin is served room temperature, but I bet it would taste exceptional if warmed up beforehand. I will have to take one home next time and throw it in the oven for a little bit. 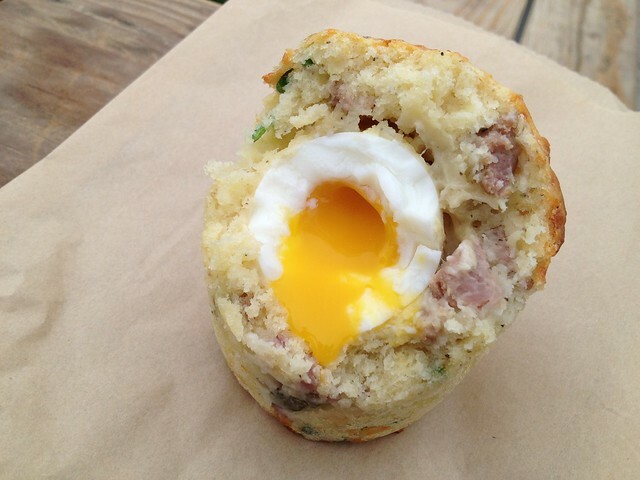 The surprise egg with a runny yolk is a beautiful sight to behold! I would normally say that seven dollars is too much to pay for a mere muffin, but it’s super filling and is pretty much a meal in it of itself. Noms! 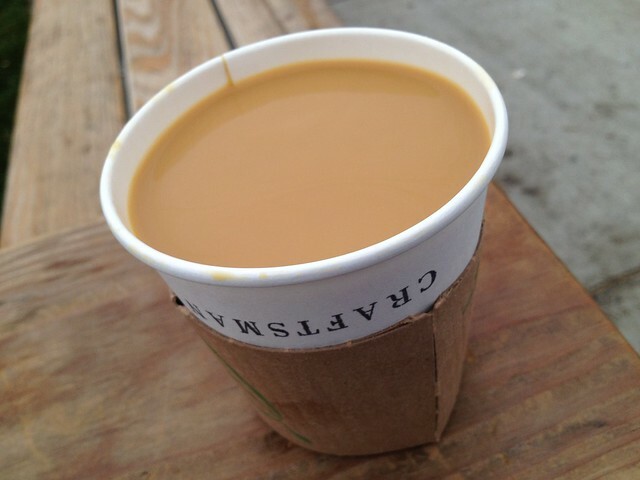 Everybody raves about Sightglass coffee, but I’m not particularly impressed. The coffee is definitely smooth, but is too weak for my taste. 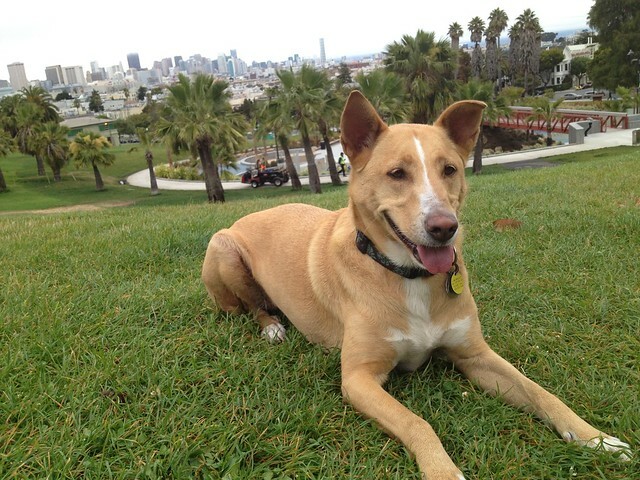 My baby-girl accompanies me to Dolores Park to enjoy the crisp morning and my Rebel Within, hehe. This entry was posted in 7x7 Big Eat SF, Bakery, Craftsman and Wolves and tagged asiago, cheese, coffee, egg, green onion, pork, sausage by vicentesf. Bookmark the permalink. I have to say that this looks awesome! Definitely the best thing I’ve ever ate. The fact that the egg is SOFT boiled is genius. I would hesitate to re-heat it, but would love it hot. Great, now I’m hungry. 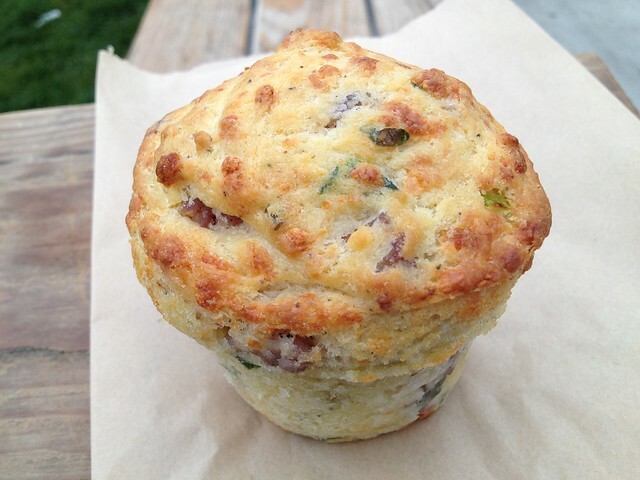 Ugh, you just reminded me of this muffin! Now I’ll be craving it over the weekend, lol! Thanks for the comment, Mimi. Yeah, it was delicious!